Disclosure: Kyya Chocolate is one of my business clients but they are my friends first. 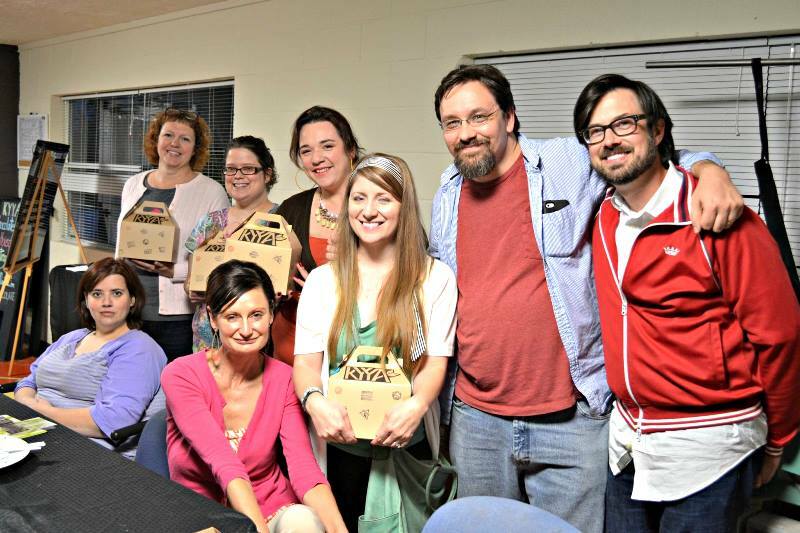 I coordinated a blogger event for them to help get the word out about Kamp Kyya. I also participated in the event and was compensated in the same way as the other bloggers in exchange for writing a blog post: with lots of amazing chocolate. All opinions here are my own. If I had children, I think I’d be the kind of parent who’d encourage experiences that were filled with education but also incredibly fun. I personally learn better from hands-on experiences and I remember it better when I had fun doing it. 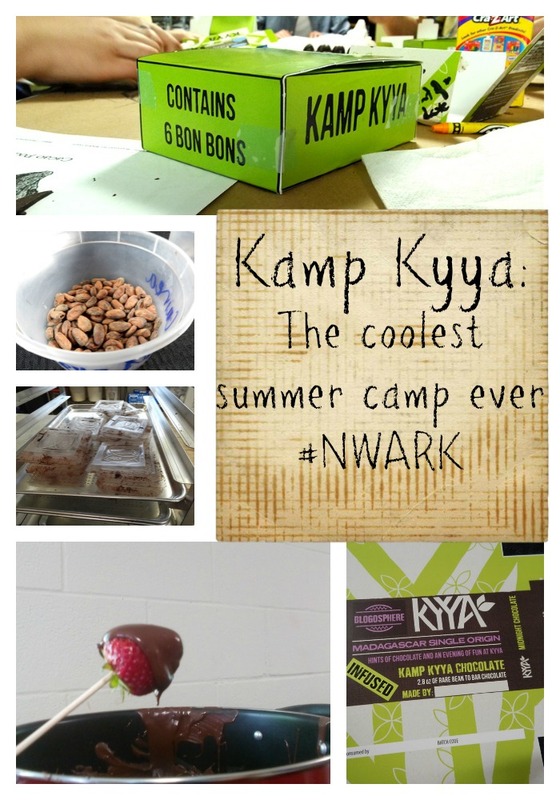 If I had children, I would send them to Kamp Kyya–and not just because they’d come home with about $40 worth of chocolate by the end of the week. Kamp Kyya is the brain child of my friends Rick and Cindy Boosey, owners of Kyya Chocolate. Their manufacturing facility is in Elm Springs, Ark. It started June 1 and runs through July. 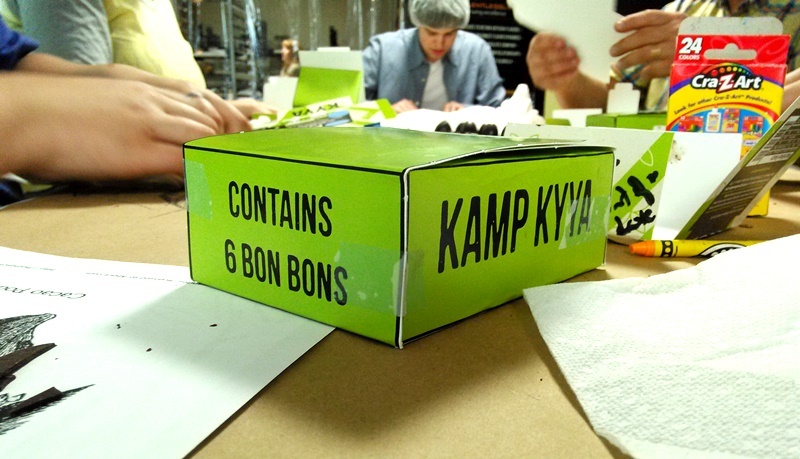 Kamp Kyya gives kids ages 6 to 16 the opportunity to become “junior chocolatiers” by learning (and doing) the entire bean to bar chocolate-making process. They come home with so much more than chocolate. Cocao beans are grown in many tropical places. Kyya plans to go to all the places where most chocolate companies never go to find their chocolate. This includes Uganda, Ecuador, Guatemala, Madagascar, India, Haiti, Dominican Republic, Papua New Guinea and I’m sure many more. The Booseys were the first true bean to bar chocolatiers in Arkansas and continue to be the only one to own a cocoa press (only about 10 percent of chocolate makers in the country have their own). 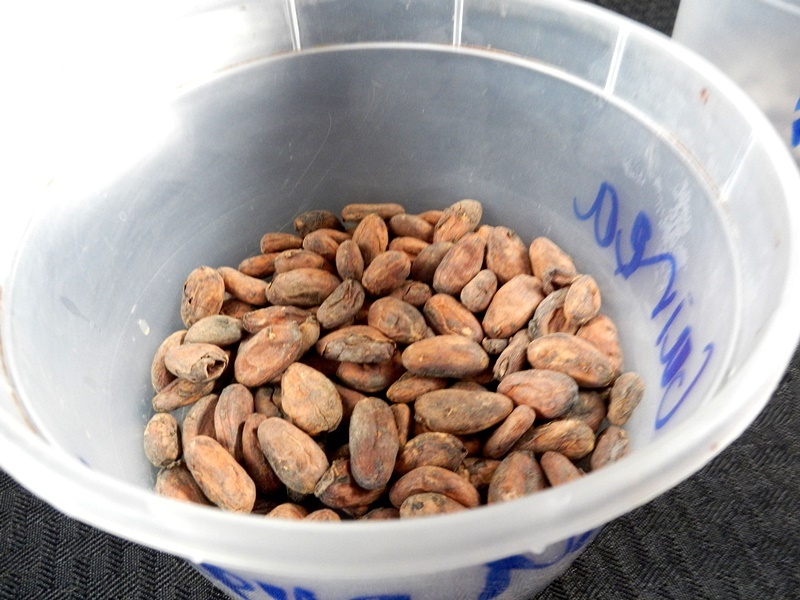 That means they can roast and press their own cocao beans to extract all the components needed to make chocolate bars. 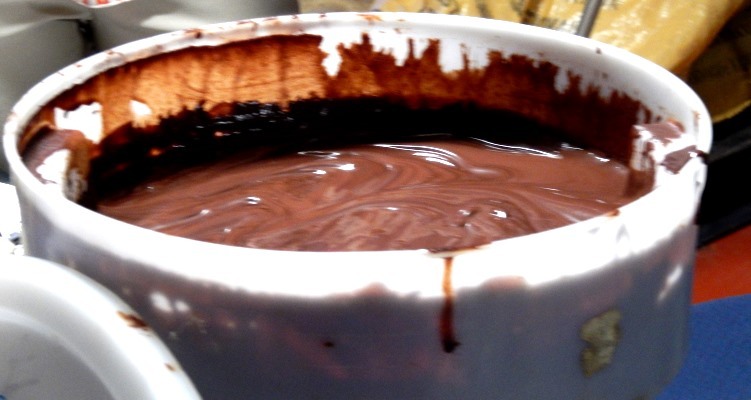 It also allows them to make chocolate syrup and cocoa powder. This may look sloppy but it’s fantastic. This is a giant tub of the country’s first single-origin Ugandan chocolate syrup. Kyya started in 2012 after Rick went on a mission trip to an Ugandan orphanage. He wanted to do something more long-term that would affect the village’s economy. 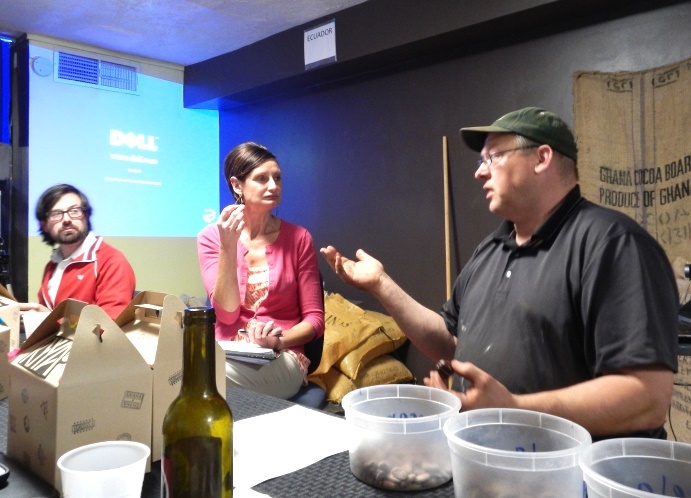 Rick and Cindy decided to start a chocolate company using locally-sourced beans that were paid for at rates higher than what is deemed “fair trade.” Part of their profits go towards specific projects in the communities where they purchase the beans. They originally started under a different brand but rebranded to Kyya in 2014 after an original partnership dissolved. But the mission has remains: to love on people in a practical way. You see, chocolate is just a tool. It’s a tool to make lives better in places where most the world never buys its cocao (it’s cocao before being roasted after which it’s called cocoa). It also makes our lives better here in the United States because we learn people’s stories and get some of the best chocolate I’ve ever had. Students at Kamp Kyya have fun , but they also learn about social studies, geography and food science. They also learn something I consider more important: Compassion. I’ve been blessed, because Kyya is my client with Jamie’s Notebook, to experience Kamp Kyya in two ways. The first way was through a blogger event I coordinated. Seven of my blogger friends who I knew would enjoy the experience and share it well joined me last month to learn about Kamp Kyya. We made our own chocolate bars and enjoyed hand-made bon-bons. I forgot to get a picture of my own so my friend Tanya shared one of hers with me. This is the group of bloggers who visited Kyya. 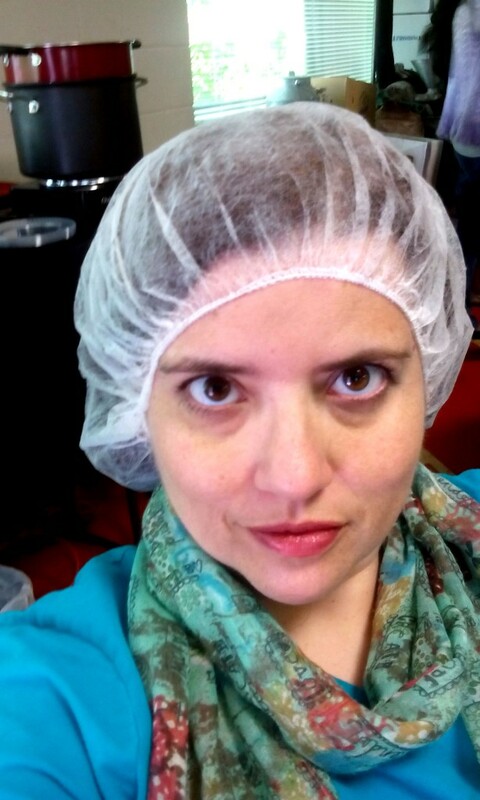 Of course we all wore the right gear to keep with food safety regulations. OK, so I forgot to take a selfie that night. I took this a few days later when I was at Kyya for another event. Everyone got to make their own chocolate molds. 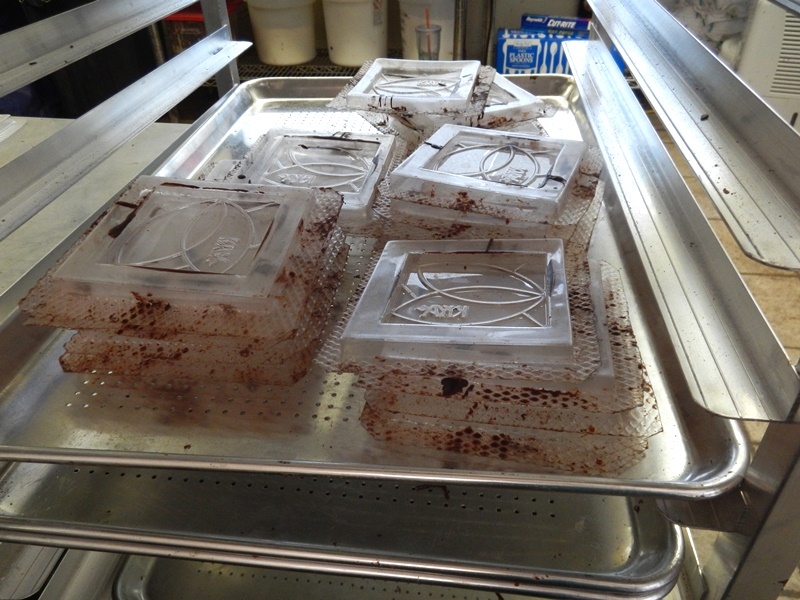 A pile of used chocolate molds. Kyya made customized packages for the blogger event. They made customized packages for Kamp Kyya as well. We also spent time sharing Kyya’s story and I was thrilled at how much it touched my friends. Rick telling the Kyya story. One of the only aspects of being an education reporter that I miss is the opportunity to see kids learning with cool and fun projects. I stopped by Kyya for the first week of Kamp Kyya and loved asking the kids about their experience. One teenager told me he would never touch Hershey’s again and all of them said they were amazed at the process of making chocolate. They got to make customized bon-bons. One student made his own cream recipe and added candied ginger for his filling. SO. GOOD. Want your kids to experience Kamp Kyya? The registration process starts on their website and it’s pretty well explained there. School House Cafe in Goshen is a great find!